This past week, the Decanter World Wine Awards were announced for 2015. Photo from the Decanter World Wine Awards website. Among the Canadian table wine winners was the 2013 Ravine Vineyard Sauvignon Blanc. It took home the Regional Award — the highest of any Canadian winery — at the Decanter World Wine Awards for the Best Canadian White Wine. Ontario Icewines dominated as always with Inniskillin, Peller Estates and Pilliteri all taking home Gold for their various varietals. Other Ontario wineries to take home top marks include Flat Rock Cellars, Henry of Pehlam, Hidden Bench, Inniskillin, Jackson-Triggs, Kacaba Vineyards, Kittling Ridge, Le Clos Jordanne, Pelee Island Winery, Peller Estates, Pilliteri Estates, Pondview, Ravine Vineyard, Reif Estates, Riverview Wines, Rosewood Estates, Strewn, Thirty Bench, Trius, Vieni, and staff favorite: Westcott Vineyards for their Estate Chardonnay. The Decanter Awards are unique in that it is judged by the world�s best wine tasters. This year�s awards were judged by 240 of the world�s best palates, including 85 Masters of Wine and 23 Master Sommeliers. 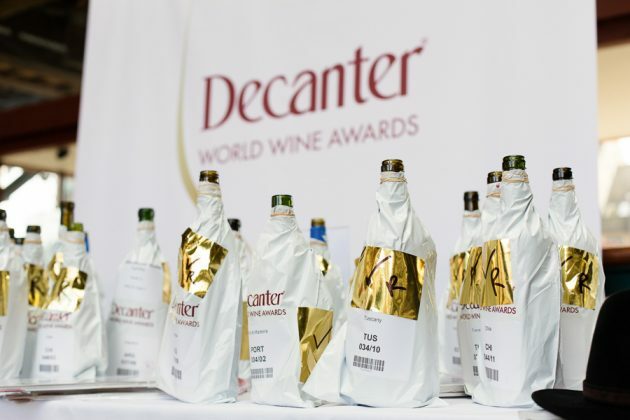 The Decanter World Wine Awards (DWWA) is the world�s largest and most influential wine competition. Judged by the world�s wine experts, the results provide a comprehensive list of wine recommendations and international stockists.